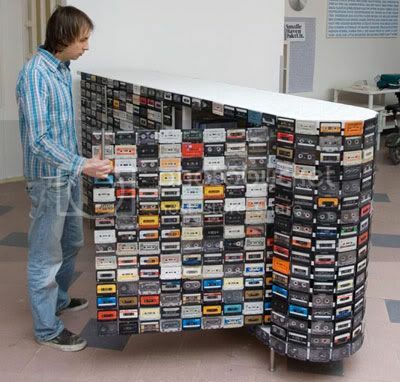 For those of us who have never outgrown our love for cassettes, here are four cassette inspired designs that will surely tickle your cassette fancy. Click "Read More" to view the cassette inspired designs and where to get them. Before you judge, look closely at the mirror (no pun intended). 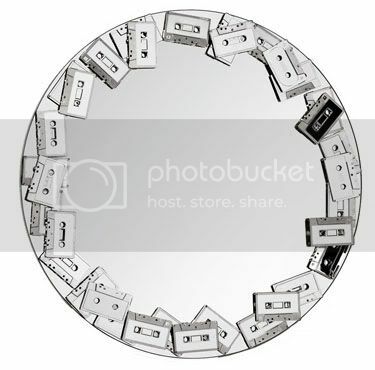 The Cassetta uses 35 chrome-plated tapes as a frame. It is not as simple as it looks like. It has a diameter of 30 inches and sells via Amaroni for £325. Last we checked it's described as a "project" so it may not be available for retail (yet). 918 authentic vintage cassettes were mounted to the wooden exterior which functions as both art and furniture. If you really want one, get in touch with Creative Barn's website. Remember the days when you mount these on your shoulders? The real ones of course. 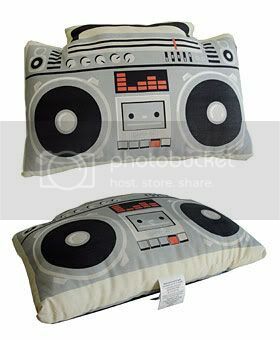 Gama-Go blaster pillow gets your head down with cool. It's made of 100% cotton with a print that's both hip and retro. Sure brings back memories for anyone who loved their music banging whilst their cassette is making the rounds (literally). It goes with a $28 (£14) price tag. Find out more about it here. Toasters are pretty standard in design - a set number of slots in the top, a catch to push down and a pop-up when it's ready. But all that could change with Toasty. 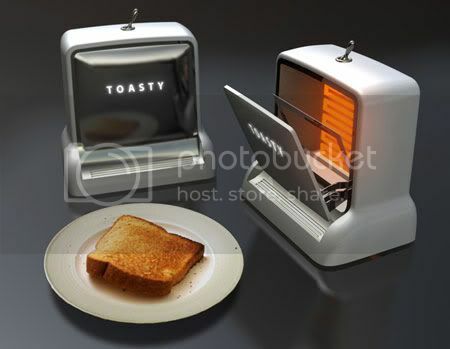 Toasty is a new way of toasting your bread products, mixing 80s technology with 50s styling. Open it up like a cassette deck, pop in your bread and close. When it's ready, the door pops open and your ready to butter. 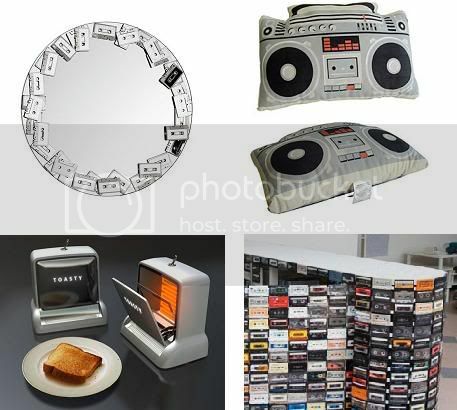 If only it printed a cassette pattern on the bread, this would be pretty much perfect. It might yet happen, because this is a concept courtesy of designer Arthur Wu, not quite ready to go into production. Find out more at the Arthur Wu website. Hope this inspired you to go back in time without having to ride that yellow automobile.